“Are you a panda?” asked young Amanda. A Cat called Panda is possibly the sweetest book I’ve read to Athena yet. Not only is it a lovely story but the illustrations are divine! Written by Melanie Arora and illustrated by Charlie Brandon-King, it’s full of stylized pictures mostly monochrome with hints of colour. It’s a pretty nonsensical and whimsical story, lots of rhyming too which always gets Athena’s attention! All the illustrations are were hand painted and there are lots of animals hidden throughout the book for little people to spot! It’s definitely going to be a classic and at the moment I’m making sure Athena doesn’t get her hands on it when I’m not around to supervise the page turning! 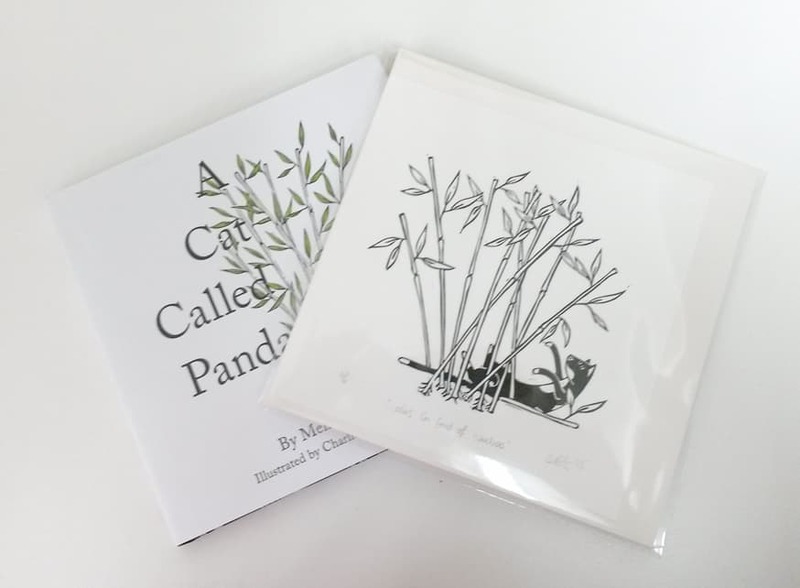 One lucky person can win a copy of the book and a gorgeous limited illustration too! Gorgeous looking book! such a nice sounding story!